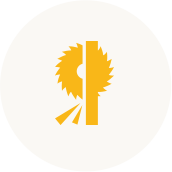 As America’s Leading Manufacturer of Vertical Panel Saws, Safety Speed is the industry leader in manufacturing high quality panel processing machinery. 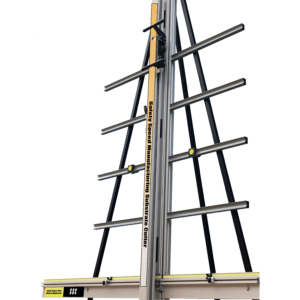 We offer a full line of Vertical Panel Saws, Panel Routers, Wide Belt Sanders, Edgebanders, Screw Pocket Machines, and Sign Making Equipment. 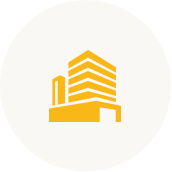 Scroll down to view our applications and products. Safety Speed offers a variety of accessories that can dramatically expand the efficiency and versatility of your Safety Speed equipment. Your cabinet or woodworking shop has a variety of unique equipment needs that can be met by several different Safety Speed machines. A Safety Speed vertical panel saw or saw/router combo can greatly improve the operation of your crating shop or box making operation. For many years panel saws have provided a faster, safer and more accurate alternative for cutting sheet goods for their customers. 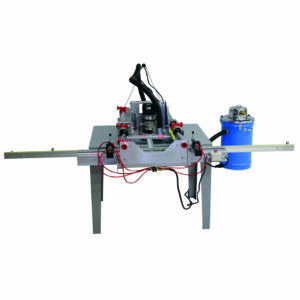 Whether your need is for sheet fabrication, distribution of sheet goods, or sizing for thermoforming, we have a panel saw that is the perfect tool for cutting plastic. 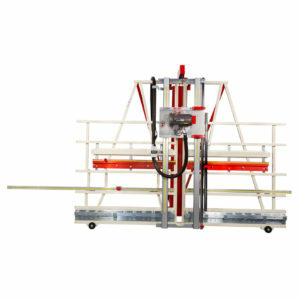 We offer specially engineered vertical saw/router combination machines that allow users to easily cut and v-groove aluminum composite material. Companies involved in building store fixtures and retail displays will appreciate the variety of machinery we offer to streamline your operation. For the do-it-yourselfers, amateur woodworkers and home hobbyists we offer high quality and less expensive options for your cutting needs. 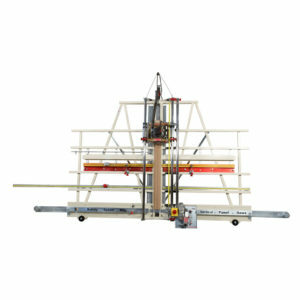 Please visit www.panelpro.com for information on our home hobbyist panel saw. Check out what our customers are saying about our products. From big table tops to face frame stock there is nothing our Safety Speed Wide Belt Sander can’t make nice and smooth! We had been using another manufacturers machine for years and were constantly burning out motors which are hard to change and their tooling was hard to change also. 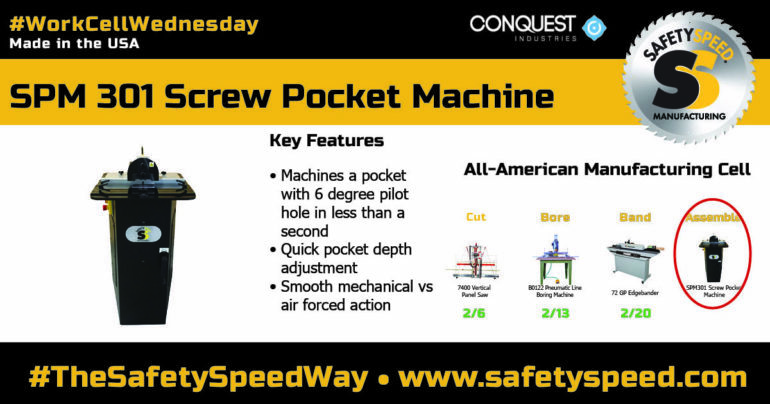 When we made the switch to Safety Speed's SPM301HD pocket machine our production went up. It is smoother, faster and quieter to use and we are not burning out motors. We do thousands of pocket holes per day and the reliability of the motors is great! This great design was needed for the pocket cutting industry for a long time. We really enjoy using our 6400 series Safety Speed Panel Saw. It has made our work much easier. We use a lot of 5'x5' stock plywood and squaring up our panels has been wonderful! We purchased an H5 panel saw 10-12 years ago. We have used it daily since then. The reliability has been excellent. Great product! 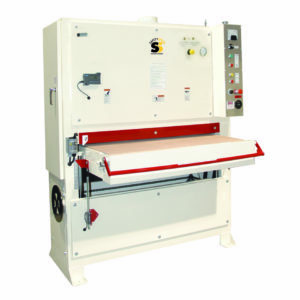 We have owned an H5 Panel Saw for over 30 years. Absolutely the best! Do yourself a favor and get one. Great Saw, Great Company! I just purchased this SSC 250 at the SGIA Show in Las Vegas. I had it up and was using it the very next day. I really love being able to cut a full 8′ length of PVC. That is always the worst cut to make. The very first job that I used it on, I cut our over 300 7″ PVC squares for some display boards that I needed to do for a customer. Needless to say, I could not have realistically done that job without the cutter. I compared the SafetySpeed cutter to all the other cutters that I could find out there. The SafetySpeed Cutter is by far the best value. This tool has replaced my table saw for anything more than a quarter sheet of plywood. And then only if I have my router mounted and I don’t want to change over for a few simple small cuts. Basically, I have a healthy respect/fear of a table saw. And this tool has made it possible to complete many projects I would not have attempted as a result. This is the perfect tool for my small wood shop. The router makes for easy and quick dadoes/rabbets for cabinet sides, drawer bottoms, etc. The change from saw to router is quick and the extra power makes routing a breeze. It is the perfect accompaniment to my table saw and relegates my poor little router to simpler, smaller tasks! 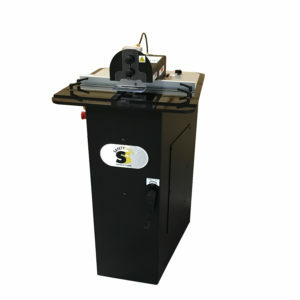 Buy the C4 Panel Saw from Safety Speed Mfg! I have had mine for 12 years without any problems. This machine has saved hours of table saw setup time. It's easy to use and is safe for students just learning how to use power tools, which is a big deal in my world. Great Machine! This Safety Speed Panel Saw is very easy to use and reliable. I am not as worried about students using this saw to cut their wood and to make true cuts. 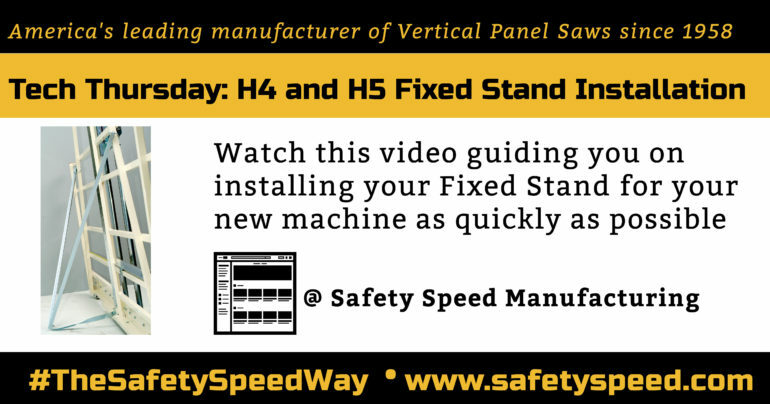 My Safety Speed Panel Saw had doubled our production and is very accurate and easy to use. Our 7 year old Safety Speed Panel Saw has ripped in excess of 6 million feet of plywood! The durability has been outstanding. Ken Ervin, Farmer's Branch, TX. 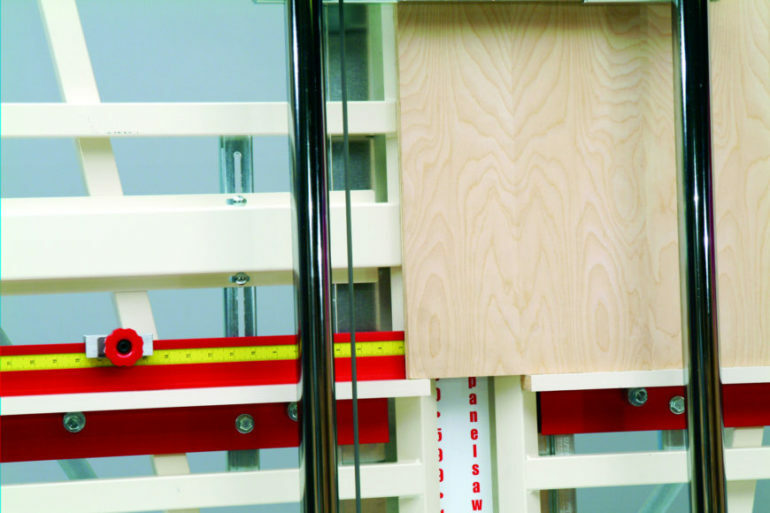 Our Safety Speed Panel Saws are the most reliable, essential and flexible tools we have. Our Safety Speed Saw, as far as I'm concerned, is the best saw and easiest to use on the market today. It is safe to use and very reasonably priced. Our Safety Speed Panel Saw/Router is one of the best pieces of equipment we have purchased in a long time. It is so easy, and safe to use I have my first year students using it. I love this tool! With limited shop space, the H5 solved all my problems. Its small footprint makes it ideal for any shop. My only regret is not getting one sooner. Our shop space is small. 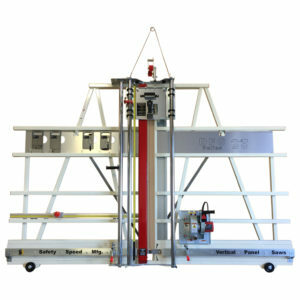 With the addition of our Safety Speed C4 Panel Saw, we now have large shop production. My Safety Speed machine is the best thing since sliced bread. It cut our production time by over 65%. Gary Eubanks, Tusa Office Solutions, Carrollton, TX. 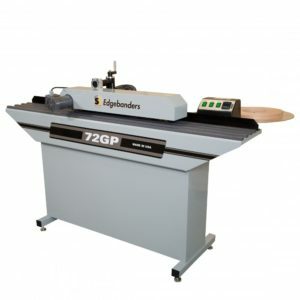 Take a moment to check out our blog for new products, woodworking tips, machine reviews, and other interesting articles.